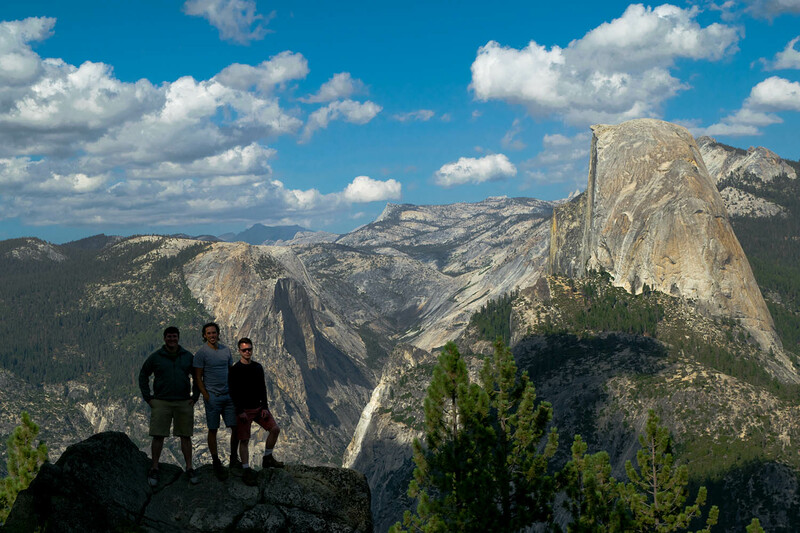 Me, Colin and Cody (my friends) visited Yosemite National Park in early September of 2015. Like the grand canyon, pictures just cannot describe the monumental greatness that you will see in person. The valley is green and beautiful, the cliffs are extremely high up, and the rounded granite mountains are more magnificent than you could imagine. 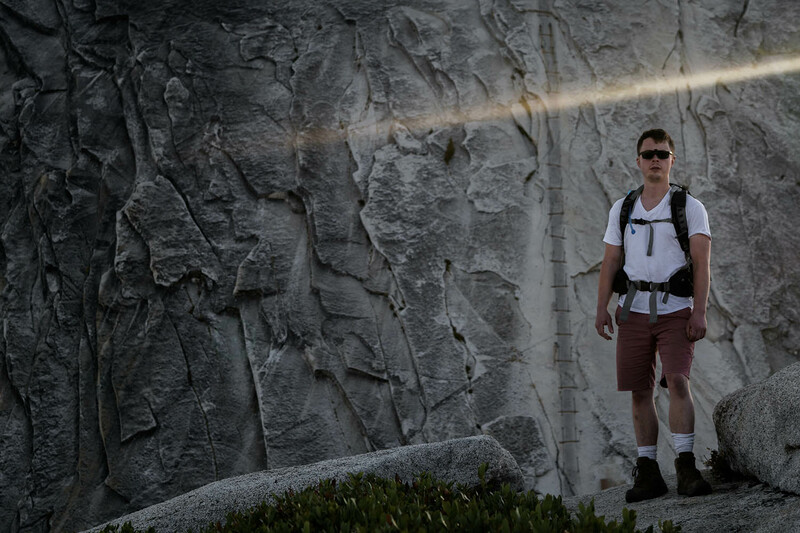 Scroll through this page to find some key information you may be looking for, a little about our trip, and my advice for those interested in scaling Half Dome. Do you have to reserve a camping spot before you show up? No, you are safer if you do, but we strolled in at 11am on Labor Day weekend and found a spot. Not everyone is as lucky as us though, hah. Will a ranger find me if I am at a spot without a permit? Yes, a nice ranger man walked by once an hour to check if people had their spot legitimately. You can go to the ranger dude's house/camper and pick up a permit if you find an empty spot. How much is a camping spot for a day? About 30 bucks, give or take. Where do you get firewood? 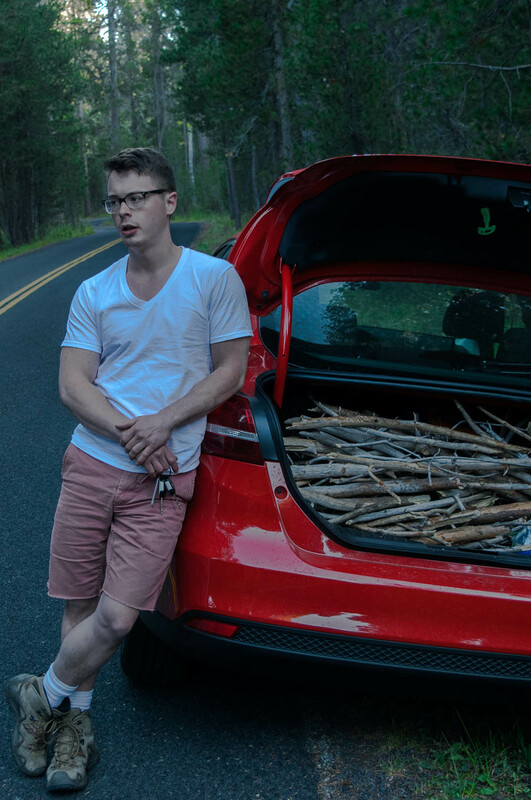 We drove through an empty road and picked up sticks and logs from the forest (put them in our trunk), they are dry and plentiful. Not sure if you're supposed to do this, but it worked well. Does it get cold at night in September? We didn't see one until we went to Sequoia National Park later that week. We were playing the Beach Boys CD on Cody's phone during our midnight hike back from Half Dome to ward off bears. But squirrels like the "Sloop John B," though, so be careful. 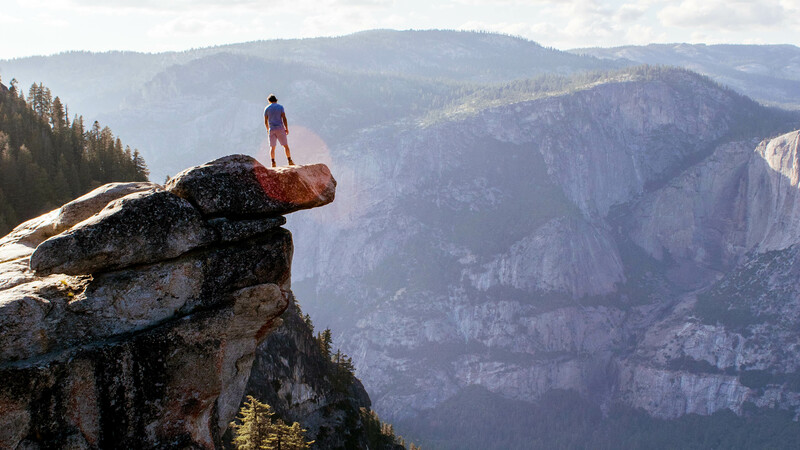 Glacier Point is one of the most important stops on your trip. This is where you can see the impressive panorama of the entire park. 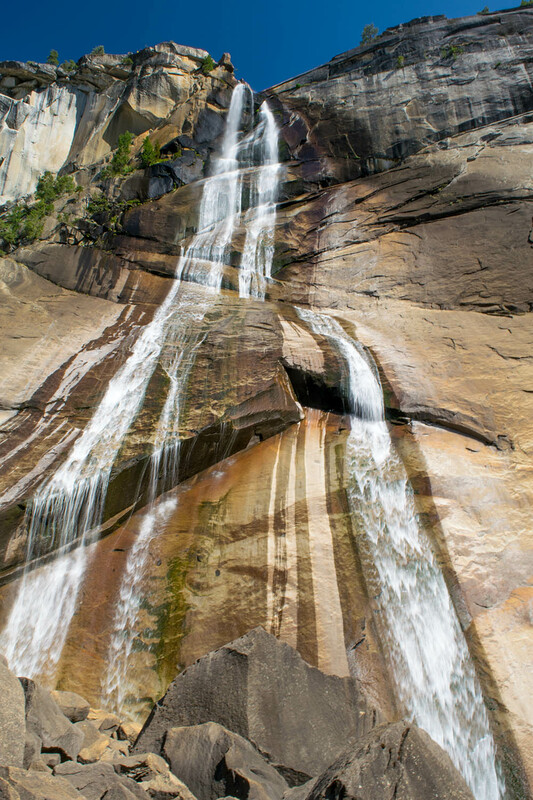 The valleys plunging below, waterfalls glistening in the distance and the iconic 'Half Dome' towering in the center. This is the point of the park where you can really appreciate the scale of your surroundings. Walking up to Glacier Point is much like peering into the Grand Canyon for the first time. You will revert to child-like amazement, wondering how places like this can still exist on our planet. 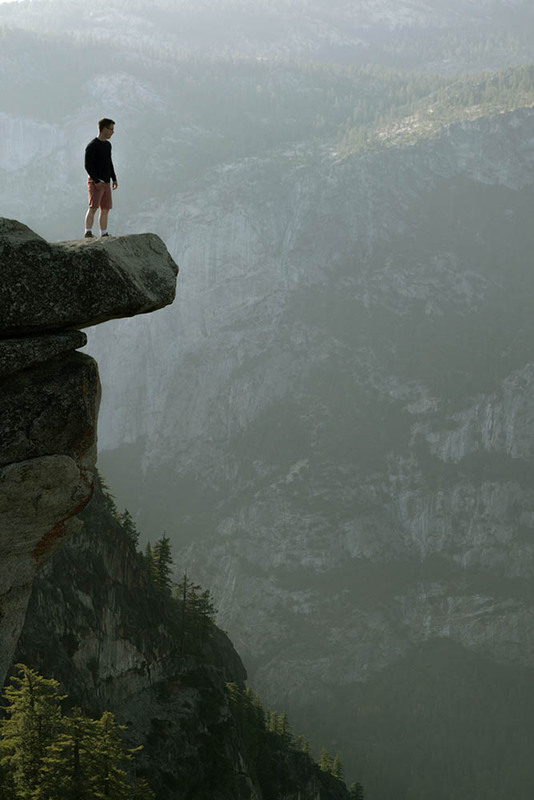 <---- I can't figure out the name of this epic cliff-overlook thing, but trust me, it's epic... You're also not allowed to go on it, I don't know who this punk kid thinks he is..(It's Cody). If I have to give you advice on how to get out on it, wait until fewer people are looking, and then hop over there like a quick little rabbit. But make sure you have mountain goat-like footing because it is WAYY higher up than this picture portrays. Let's describe it in terms of comparison: The cliff Cody's standing on is 500 feet higher than the Burj Khalifa to the valley floor below.. The cliff we are standing on at the top of half dome is taller than the Burj Khalifa in Dubai, the Sears (Willis) tower in Chicago, and the Statue of Liberty in New York...Combined... in relation to the valley floor below. 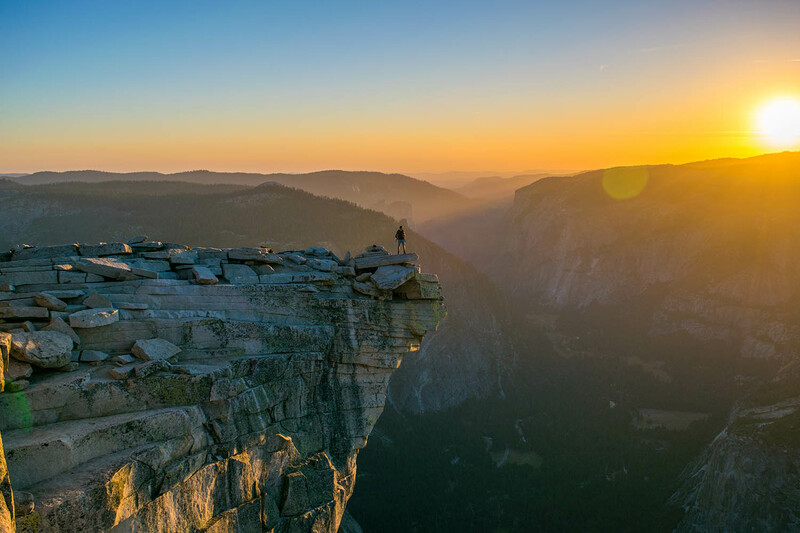 After this long strenuous hike, you may wish you had brought your parachute for a quicker descent..
How far is the trail from the valley floor to the top of Half Dome? 16 miles round trip,mostly up hill. The way back is rough on your knees, so if you have arthritis like me, bring some of those walking stick things aka 'trekking poles.' I kinda wish I owned some. Is the journey to the top difficult? It was pretty hard on the two of us, and we are both gym-going fellows. 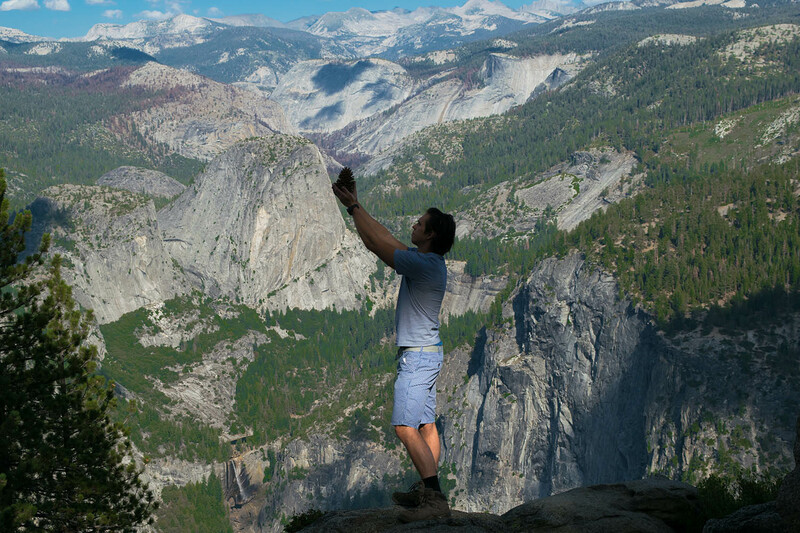 Is scaling Half Dome dangerous? Yes. If you slip off the cables on your way up the steep granite slope, you're dead... for sure. Is there any water along the way? There is one water point kinda closer to the bottom, so make sure you bring a lot of water, you will need it. Cody drank his whole 3 Liter camelbak, and I drank 4 or 5 plastic water bottles. We both ran out and would have liked more. 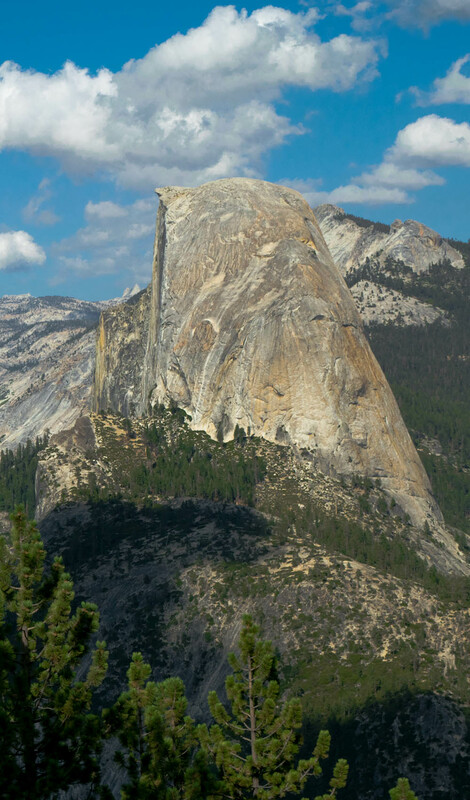 Do you need a permit to climb Half Dome? We began our hike from the valley floor at 1 or 2 pm. (literally nobody does this..) so if you are insanely late like us, make sure to bring flash lights. 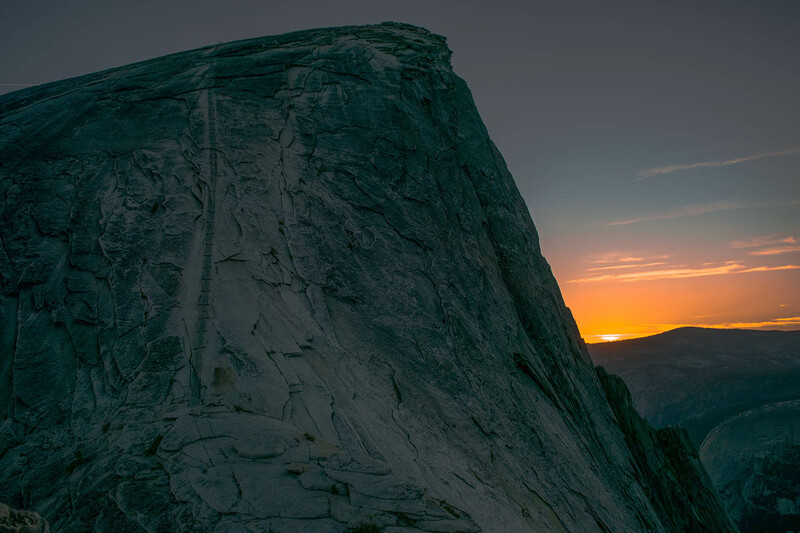 The sun went below the horizon as we climbed off the top of half dome, so the entire hike back was pitch black dark as there was no moon that night. We both had headlamps so we were good to go, but eventually we encountered a pair of people whose lights had lost their charge. 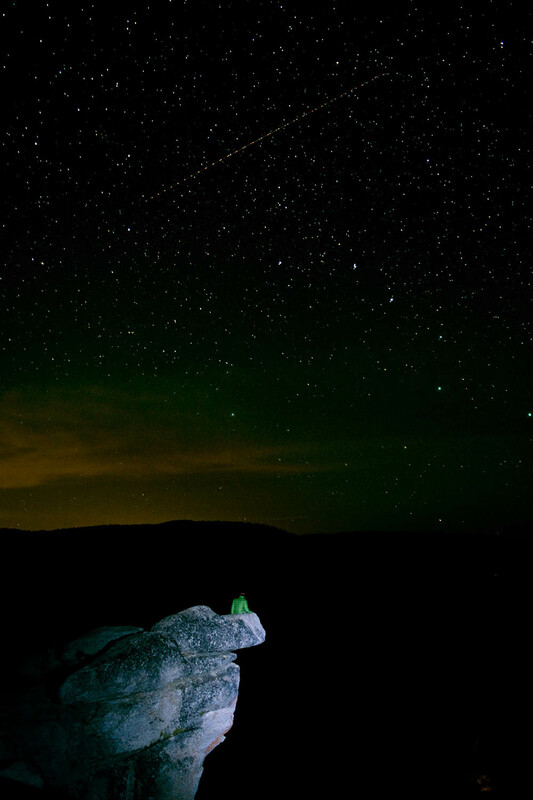 Without a light source it is nearly impossible to navigate the steep, sharp rock-carved stairs that make up much of the descending trail back to the bottom. In case there were bears in the darkness looking for an easy meal, we played music on Cody's phone to warn them of our presence. Apparently they are scared of The Beach Boys because we made it through unscathed. If you've got bad knees, like I mentioned earlier, bring knee braces or trekking poles for the way back down. Also Ibuprofen for headaches. The First half of the way up the trail we were taking it leisurely, checking out all the cool waterfalls and taking in the natural sights. Later on we started hiking at a fast pace, got to the top of half dome around sunset, and back to the car around 10:30pm. 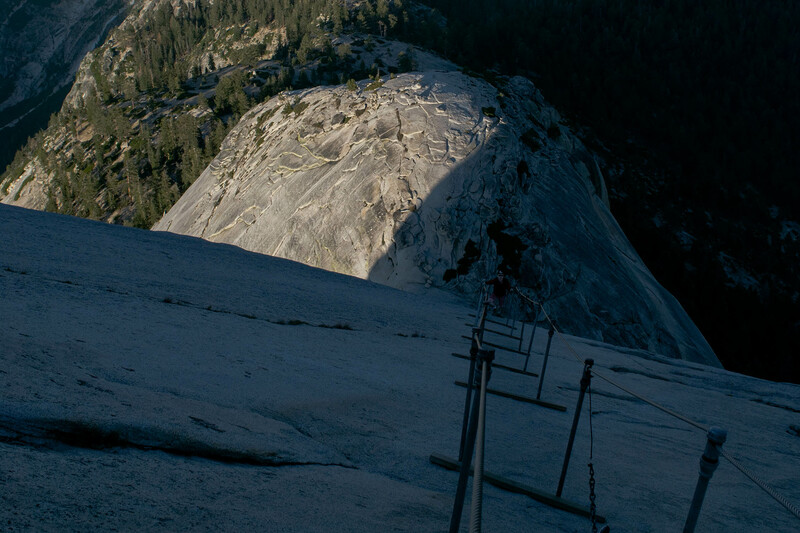 The ascent up half dome is no joke. It is super steep. 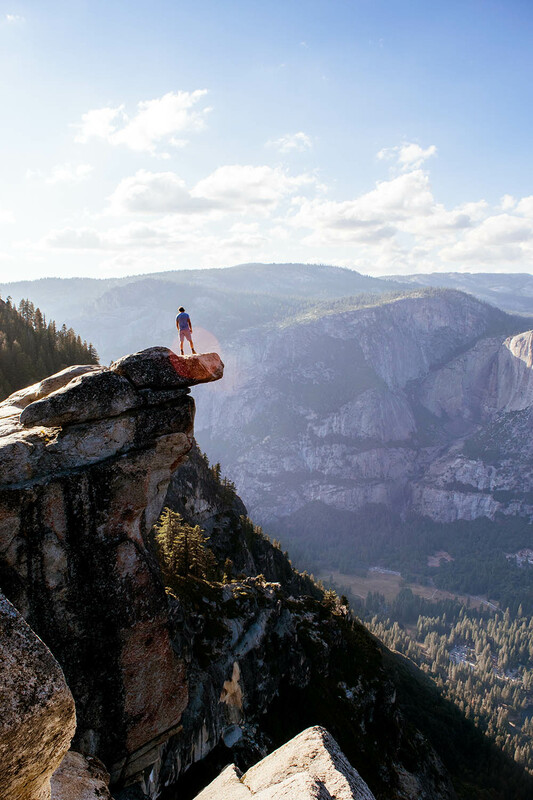 Not a ladder or stairs, your feet are just climbing up flat, slippery natural granite slabs that make up the mountain structure as your hands try to grip that old rusty cable drilled into the rock. There are wooden boards loosely stapled to the steel poles that you can rest on to catch your breath. If you are alone there like we were, you will have no one in front or behind you to help push you up or save you from a fall. So make sure you upper body strength is up to snuff. We both said we would never let one of our family members try to climb that thing alone (remember this is also after you hike for 6 hours). Janky/precarious is a good way to describe the cable climb... These are all things that make it fun though, and what drew us to the hike in the first place. Once you're at the top, the views are phenomenal, you can see miles in all directions as you take in the panorama of one of the greatest national parks in America. 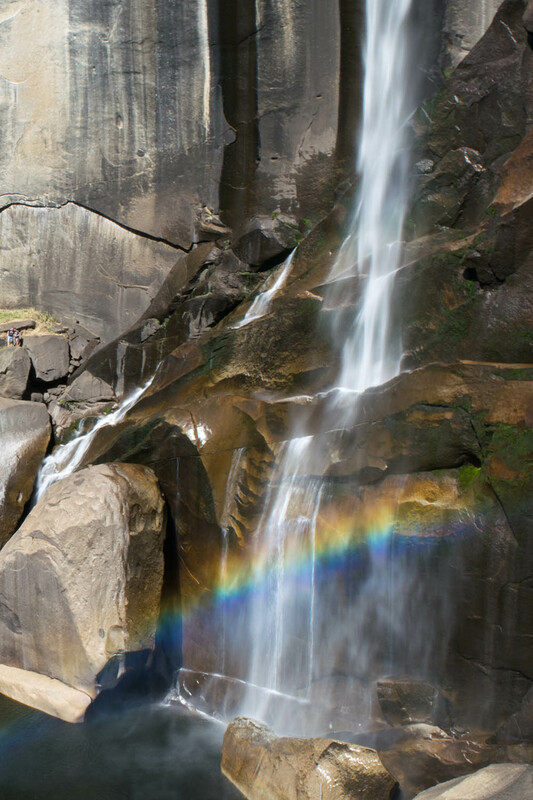 Vernal Falls: A good spot to take a dip along the way.